Let's start by saying that I have an imperfect layman's view of Keynes and Hayek. This is my understanding and over-simplification of how these camps deal with economic downturns. Keynes: Economic downturns result from some sort of failure of aggregate demand. There are positive feedbacks in the system such that a small downturn can lead to a larger downturn if left unchecked (but on the flip side mean that a small stimulus can have a disproportionately large effect on demand). The proper government response to a downturn is to create demand through government deficit spending. Failure to emerge in a timely manner from a recession likely is the result of the government not being aggressive enough in its spending. Hayek: Economic downturns result from mis-allocation of savings and investment capital, often due to government policy by not necessarily so (one can argue the housing bubble was driven by government policy, but the first Internet bubble likely was not). The proper government response to a recession is to stop any distorting government policy that drove it and let the economy sort itself out by restructuring. Failure to emerge in a timely manner from a recession is likely due to interventions that slow this necessary restructuring (e.g. bailouts, government-directed investment programs). I will say that if my Hayek description is not correct for the Austrians, it is correct for me -- this is what I believe happens. That said, I have long thought the Japanese lost decade(s) were pretty much final proof of the Hayek vs. Keynes explanation, and I am sort of amazed people still argue about it. I remember in the 80's people in the US admired the Japanese MITI system of industrial management that carefully directed investment into government-preferred industries and, by the way, stomped on the Japanese consumer (including laws that kept both the retail and agricultural sectors backwards) in favor of promoting the export market. In the 20+ years since Japan slid into a downturn, they have been the poster child for Keynesian stimulation. They have deficit spent like crazy and have driven up -- by a longshot -- the largest government debt as a percent of GDP of any of the industrialized nations. Yet still they flounder -- I would argue precisely because they had an Austrian recession, based on years and years of government-enforced mal-investment, but have refused the Austrian solution. Watching it evolve over the years, I have thought it impossible to miss the point, but it appears that Krugman-Keynesians can always argue, not matter how much government debt was run up, that the problem was that they just didn't spend enough. Well, in my view we have another such test coming, perhaps even more stark -- in China. 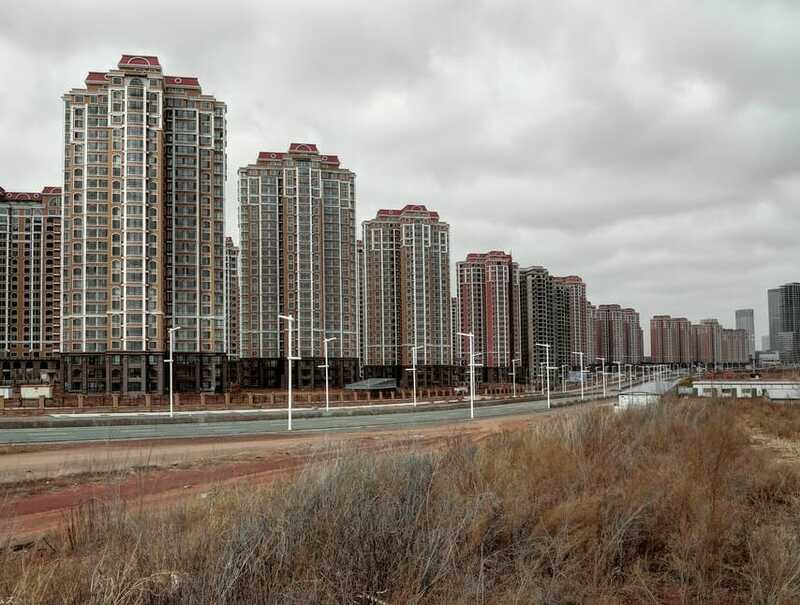 China, perhaps more than Japan, has filled their economy with investment distortions -- the huge empty cities that get shown on the Internet seem to be one example. And over the past year or two, China has been deficit spending and stimulating like hell -- both at the central government level as well as with policies that have encouraged the accumulation of debt both locally and in industry. This is why I think the crash is coming in China, and the longer they manage to delay it by artificial means, the worse and longer the crash will be. There is probably a bet that could be had here, but I am not sure how it would be structured.